Potomac’s move to [email protected] gives us the perfect facility to offer education, training, workshops, and conferences. 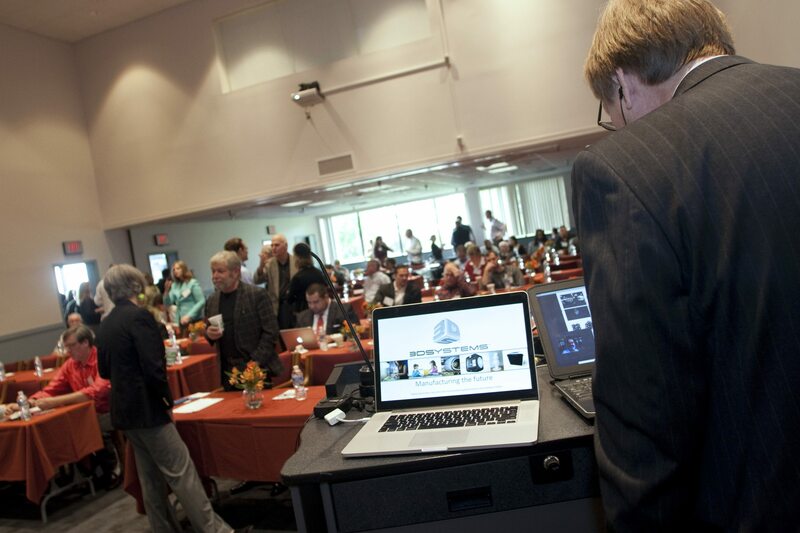 With auditoriums, conference rooms, and video conferencing alongside state of the art equipment, we have the space and bandwidth to help engineers, designers, educators, business owners, artists – actually anyone interested in Digital Fabrication – learn about the power of Digital Fabrication, especially new 3D Printing technology. To launch our new education initiatives, we recently presented two workshops based in 3D Systems “3DPrinting 2.0 Printers and Software”. Since Potomac has worked in Digital Fabrication since 1986, we are uniquely positioned as a 3D Systems Authorized Re-seller to assist in choosing the right 3D Printer for a specific application. 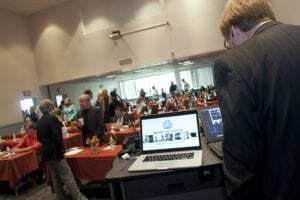 These workshops were an introduction to the power and challenges of additive manufacturing technologies in many fields. Potomac President and CEO, Mike Adelstein, opened the program with an overview of how 3D Printing and Digital Fabrication can bring ideas to life. An enthusiastic group then heard Potomac employees define digital fabrication and 3D Printing, explain when it is best to use 3D Printing over other fabrication methods, give examples of good 3D printing applications, and explain CAD design and scanning. Extrusion-based 3d Printing was demonstrated on the Cube desktop 3D Printer, and the day ended with a tour of the Potomac facility. It included seeing a stereolithography 3D Printer, excimer and CO2 laser workstations, as well as micro-CNC and hot embossing processes. Attendees left commenting that their heads with spinning with new ideas for their own work! There is one more workshop in the 3D Systems 3D Printing 2.0 series on June 20 from 2 to 4 p.m. Although there is no charge to attend, space is limited so please click here to register online.